The CrossFit Games are unlike any other sport competition in the world. CrossFit weeds out the weak and rewards the strong, pushing competitors to their limits and delivering some unbelievable moments every year as this whirlwind of a sport continues to grow. Each year, individuals and teams of heavily trained athletes come to the StubHub Center in Carson to compete against other athletes who have pushed their bodies harder than they ever thought to be humanly possible. This year they wanted seating as spectacular as the athletes. 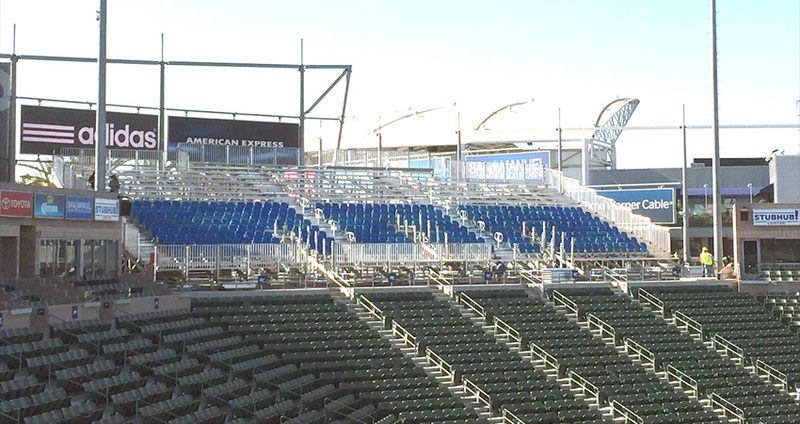 This event has grown so big that they needed additional seating to accommodate all CrossFit fans. 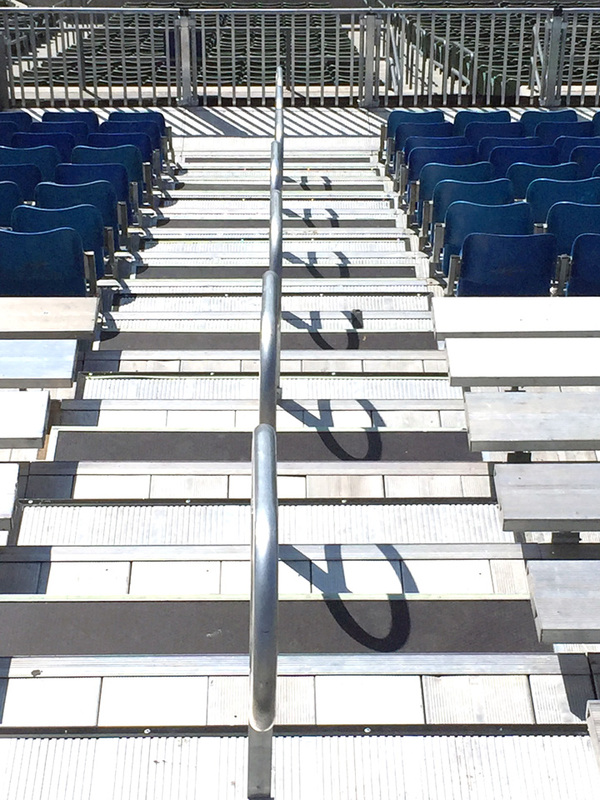 Seating Solutions was able to increase StubHub Center’s seating to over 29,000 seats! 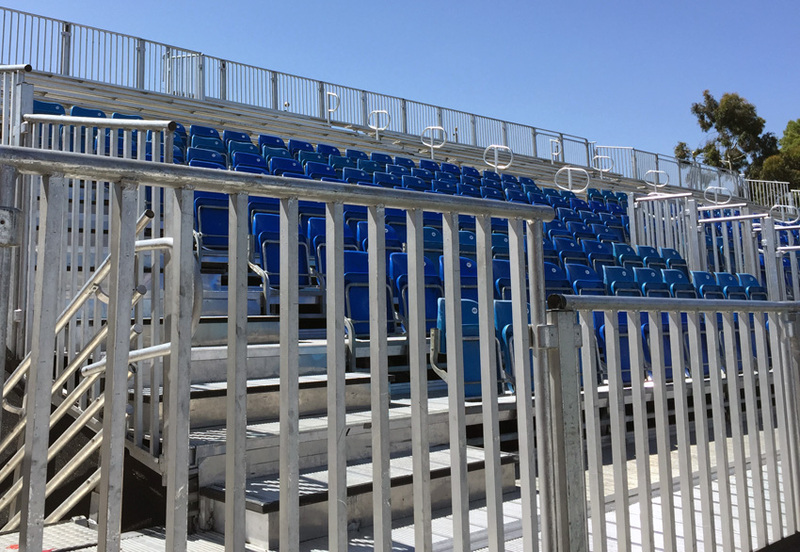 Seating Solutions was able to provide StubHub with 3 units of our 4′ elevated, safety code compliant Ultimate seating system with a combination of stadium style flip up seats and bench style bleachers in the same unit. 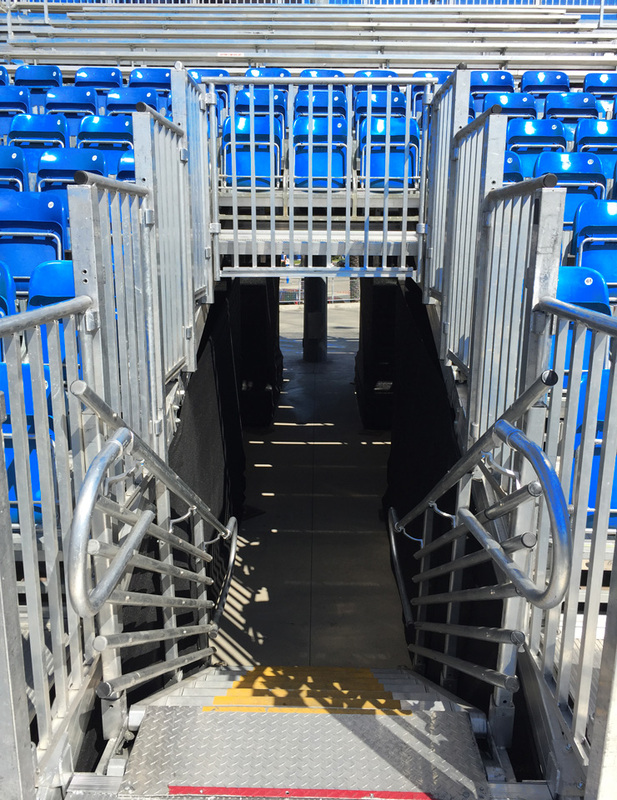 Our systems are fully picket railed for safety and aisles are complete with mid-aisle handrails and contrasting stair nosing. 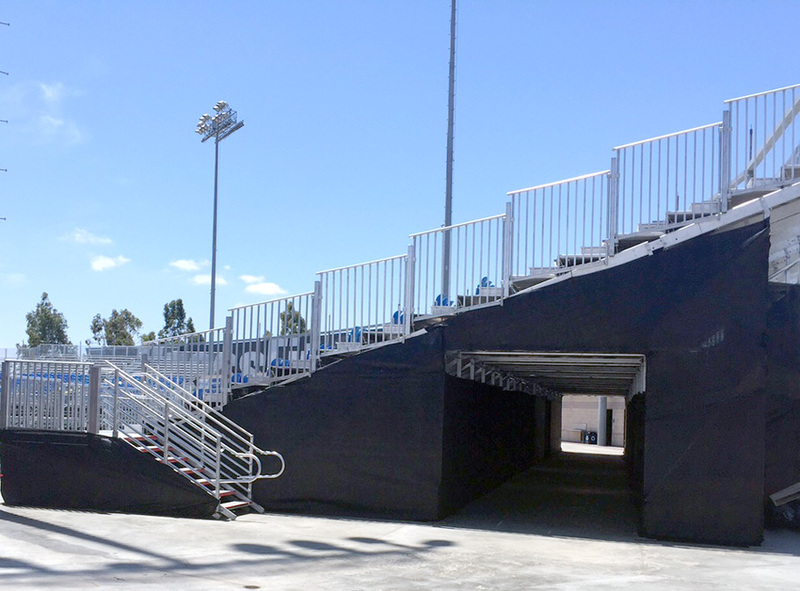 Each one of our units came with two railed side staircases and one center vomitory for entry and exit along with two pass-through walkways at an elevated height of 8′ to allow competitors and guests to enter through the stand as well as a crosswalk for added egress. 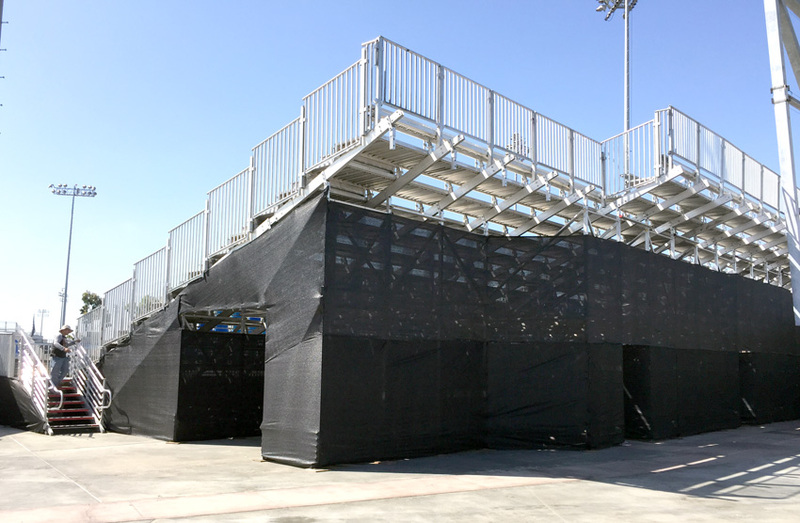 Black scrim completed the look to cover the entire understructure and under-stand pathways. Our Ultimate system is modular in design and therefore can be built with unlimited possibilities.